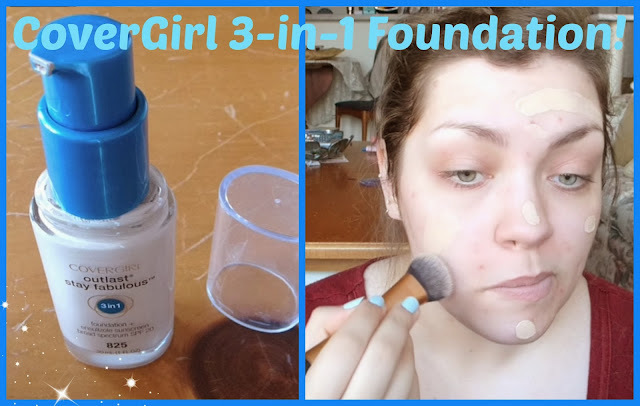 Thrift Thick: CoverGirl 3-in-1 Outlast Stay Fabulous Review + NAKED3 Palette!!! CoverGirl 3-in-1 Outlast Stay Fabulous Review + NAKED3 Palette!!! I just wanted to pop in quickly to say that I've got a new makeup review/first impression video over on my YouTube channel (and promise I'll have a blog post on it here later)!! And also, as the title of this post suggests, I JUST BOUGHT THE NAKED3 PALETTE… well, technically Santa got it for me since he'll be paying me back but still haha. I have needs and had to be sure I got my sweaty little hands on it before it sold out for the next few months since Santa is currently at his day job. Have any of you nabbed the NAKED3 palette for yourselves yet? Or am I the only one hyperventilating over it right now? Awww thank you Kathy, you're always so sweet! I'm so glad you like my reviews and that they're helpful for you ^__^ Definitely give this foundation a try when you get a chance and hopefully you'll love it as much as I do!! I love this foundation and I apply it with the exact same brush! :) I am wishing for that palette! I have this CG foundation in natural beige as well and I like it. For me, it seems to go on best over a primer and seems sticky and difficult to spread when I don't use a primer. I'd re-purchase, but may go a shade warmer. It is a shame that you have to mix but if you love the foundation then it's worth it… plus it'll last twice as long haha!